Poetry For Sale is a fantastic collection. 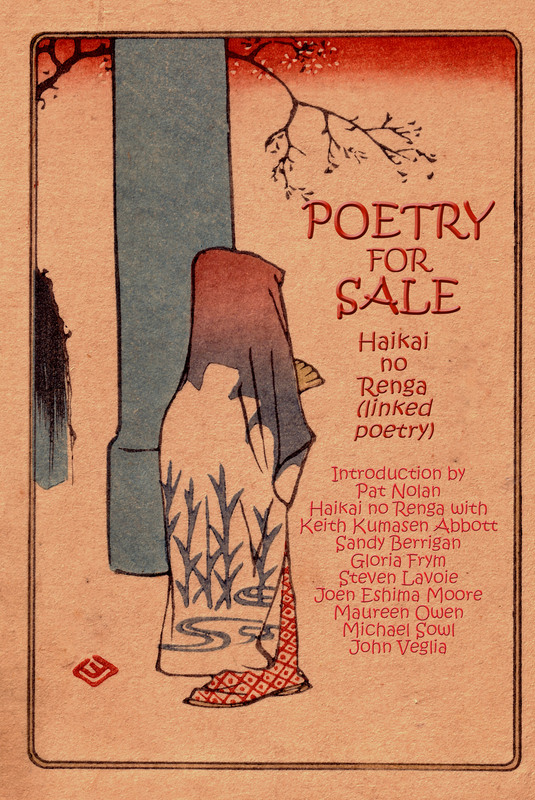 Anyone interested in the interaction between Japanese and English poetry needs this book. And anyone interested in renga should definitely get it. It is an immensely pleasing collection: entertaining, surprising, sometimes sharp and witty, sometimes introspective, sometimes descriptive, the renga unfold with great skill and elegance. They are a pleasure to read. Nolan and his partners have done a great job adapting renga to an English language poetic context. Renga is a unique poetic genre; I don’t know of any other form which has the effect that renga imparts. It is a combination of the concrete details of life combined with a dream like sense of traveling, like some kind of strange astral journey. It is a difficult form to do well. It is remarkable how graceful this collection is. My hope is that this collection will help others access this form so that they can also walk the journey down the renga road.